Save Time With In-Field Span and Zero Adjustments – No need to send in your pressure sensor for re-calibration for those minor changes. The P600FD flush diaphragm pressure transducer is designed for use in food, process and industrial applications where the media is either viscous, contains particulates or solids, or is otherwise liable to block the port of a conventional pressure transducer with a recessed diaphragm or pressure port. The P600FD flush diaphragm pressure sensor is also particularly suitable for applications where cavity-free installation or low volumetric displacement is required. The wetted parts of the flush pressure sensor are manufactured from 316 Stainless Steel and Nitrile, and the process connection is a ½” BSP male as standard, while electrical output is an industry standard 2 wire 4-20mA signal which exits through a DIN43650 plug & socket rated to IP65. Request pricing from our technical sales team. 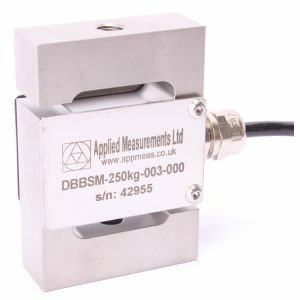 If you require a flush diaphragm pressure transducer with a variation on this specification please see our full range of flush pressure sensors.